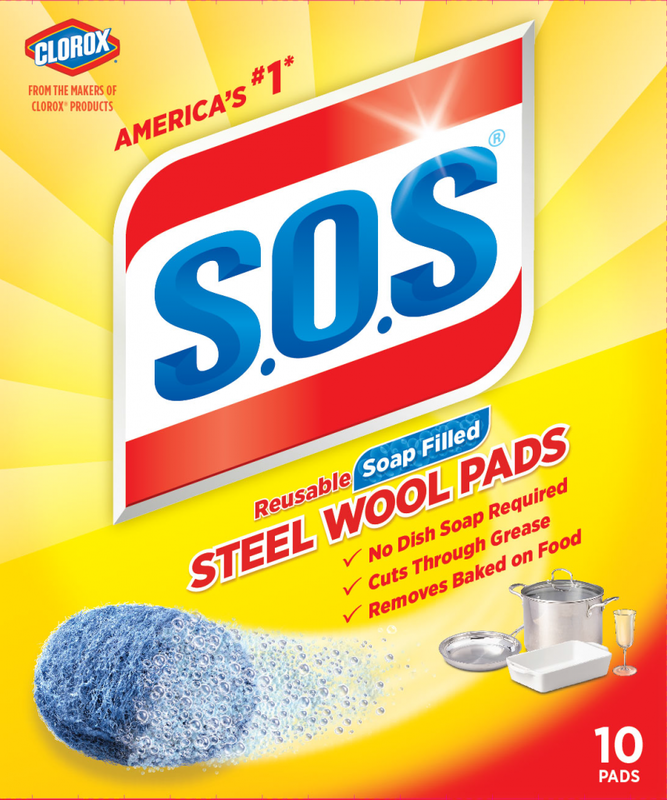 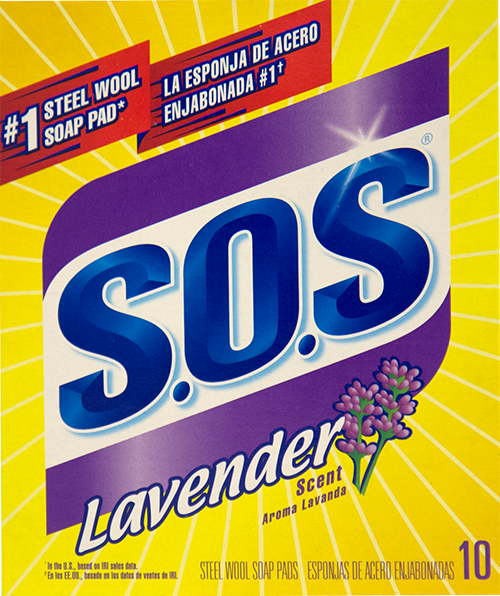 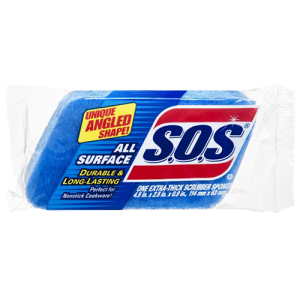 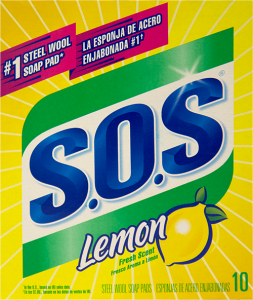 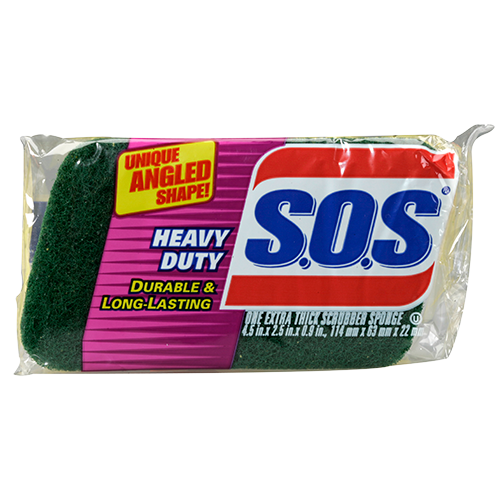 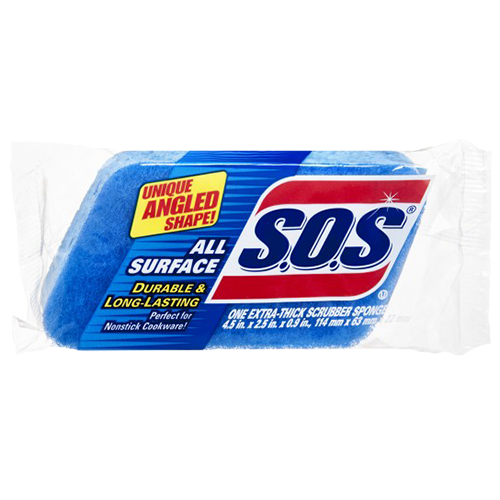 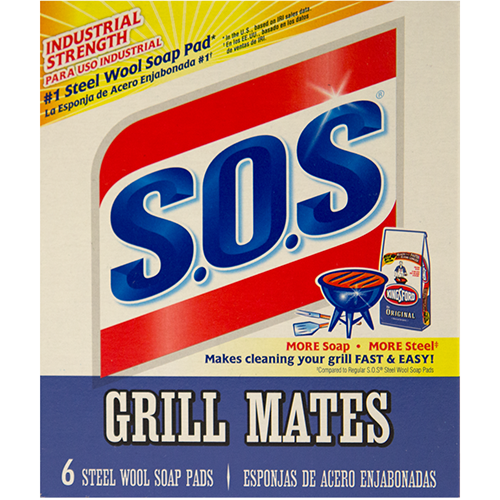 The S.O.S® All Surface Scrubbing Sponge is durable enough for everyday use yet sensitive enough for delicate surfaces including Teflon®, marble, ceramic, and tile. 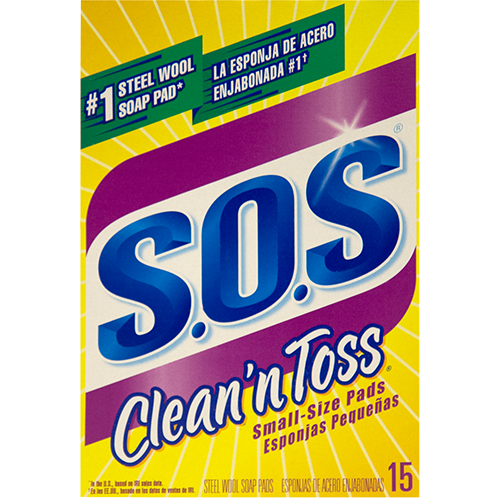 It features an easy-to-hold shape that allows you to clean hard-to-reach crevices faster and easier. 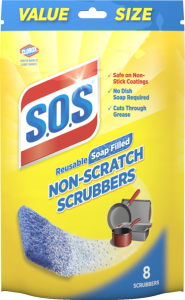 Combining a contrasting two-in-one dark blue scrub top with a light blue sponge bottom, the S.O.S Scrubbing Sponge gives you mighty scrubbing power with a delicate touch, all in one.